In 1915, a thirty-six year old Albert Einstein had just finished completing the two-page masterpiece that would revolutionize modern physics and catapult the struggling physicist into international fame and glory – the theory of general relativity. A hundred years since the seminal paper was published, we celebrate Einstein by presenting one of his most enlightening correspondence. On November 4, having just finished writing his landmark paper, Einstein wrote this most heartfelt and considerate letter to his then 11-year old son Hans Albert, who was living with his estranged mother and little brother, Eduard “Tete” Einstein, in Vienna. The letter (featured below), like most of Einstein’s correspondence, shines of fatherly wisdom and speaks of something that most people should always consider: how to learn. Yesterday I received your dear letter and was very happy with it. I was already afraid you wouldn’t write to me at all any more. You told me when I was in Zurich, that it is awkward for you when I come to Zurich. Therefore I think it is better if we get together in a different place, where nobody will interfere with our comfort. I will in any case urge that each year we spend a whole month together, so that you see that you have a father who is fond of you and who loves you. You can also learn many good and beautiful things from me, something another cannot as easily offer you. What I have achieved through such a lot of strenuous work shall not only be there for strangers but especially for my own boys. These days I have completed one of the most beautiful works of my life, when you are bigger, I will tell you about it. I am very pleased that you find joy with the piano. This and carpentry are in my opinion for your age the best pursuits, better even than school. Because those are things which fit a young person such as you very well. Mainly play the things on the piano which please you, even if the teacher does not assign those. 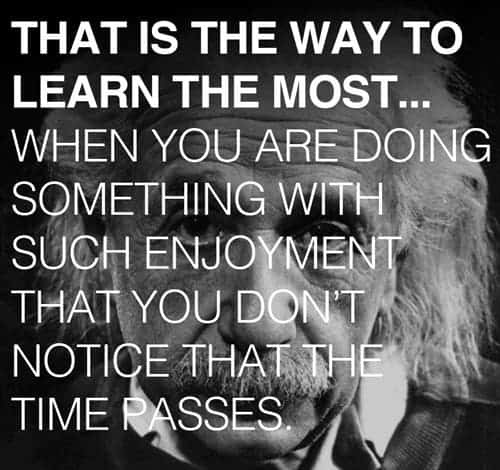 That is the way to learn the most, that when you are doing something with such enjoyment that you don’t notice that the time passes. I am sometimes so wrapped up in my work that I forget about the noon meal. . . .
Einstein wrote hundreds of letters to his friends and collaborators, some of which can now be found in private collections at places like the Raab Collection. Some sell for thousands of dollars at auctions.